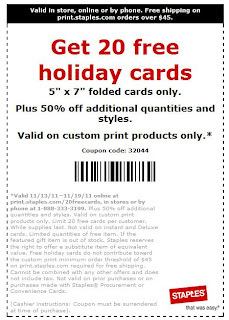 A Day Late and A Dollar Short: 20 **FREE** Holiday Cards - Staples! 20 **FREE** Holiday Cards - Staples! 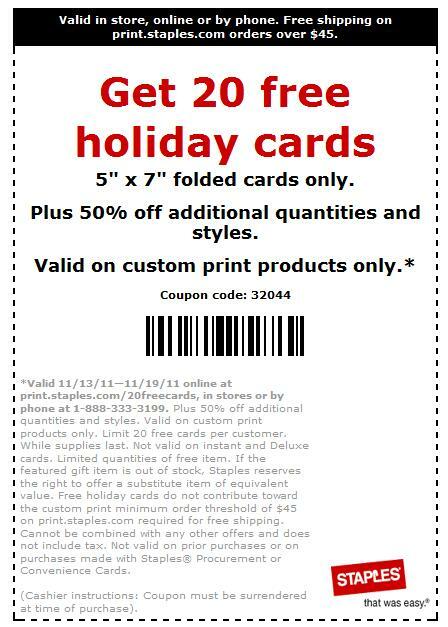 Visit the Staples website to print out this coupon good for 20 **FREE** 5 x 7 holiday cards!